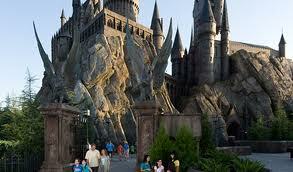 I've been looking forward to going to the Harry Potter Wizarding World about as much as my kids have. I've been the one to take them to all of the movies over the years and even though I've never read a word of the books, I'm almost as into the series as they are. I thought that it would be especially good for us to go to it before the final movie came out. Even though we just got back from the trip, I'm still so excited about it and have been writing reviews about different things in the park online. As I was doing that one night this week, I saw the site www.ClearWirelessInternet.com. After I read through it, I decided to sign up for one of the internet packages that I saw on there. I was pretty excited to try the butter beer there. I had wondered what it would taste like and it was pretty tasty after all. I think that I used up all the memory on my phone taking pictures of the scenes and of the kids too. I can't wait to have a bunch of them developed!